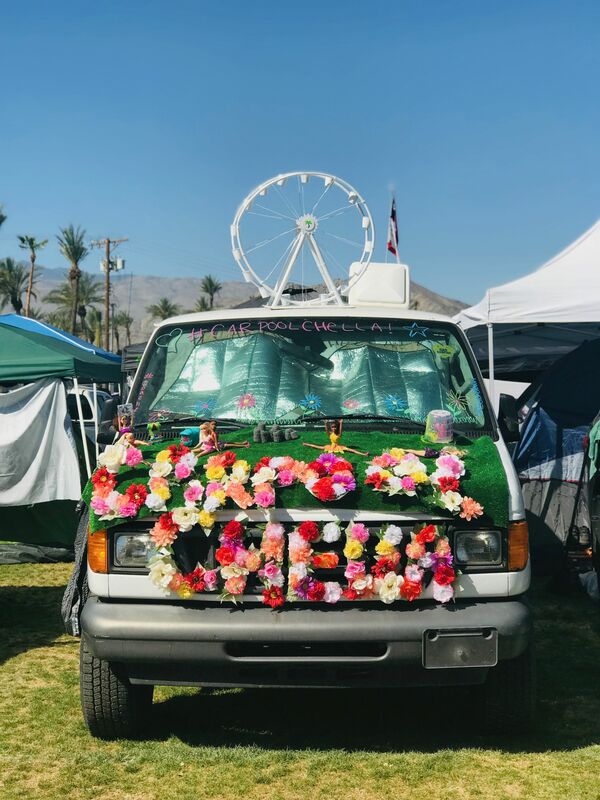 Coachella Guide and Tips: Is it Worth Going? Is it worth going to Coachella? 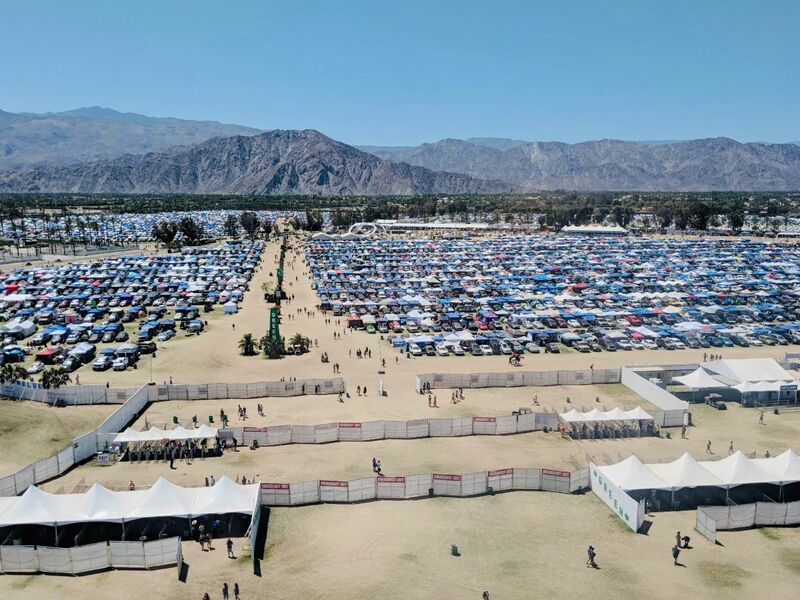 Like most people, the only impression I had gathered about Coachella beforehand was that it was expensive, pretentious, and basically just one giant fashion show where people were only there for a photo op and to scope out celebrities. Yeah, that didn’t sound appealing at all. However, I’m the type of person who, when I hear about a place enough times, I want to go experience it for myself. 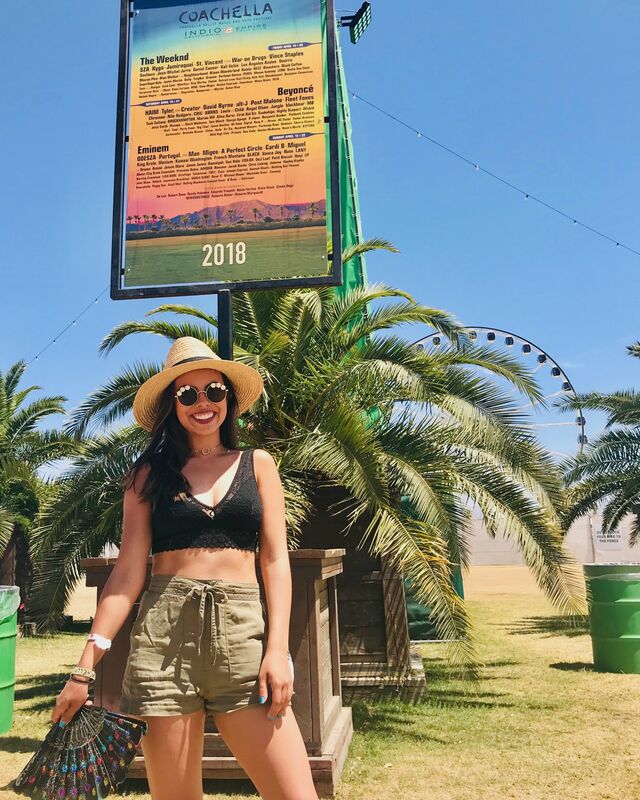 When the opportunity came last year to go with my cousin who invited me to attend the fest with her and her friends for Weekend Two, paired with the incredible lineup, I decided this was my chance to see what Coachella was really like outside of what I had seen on social media. 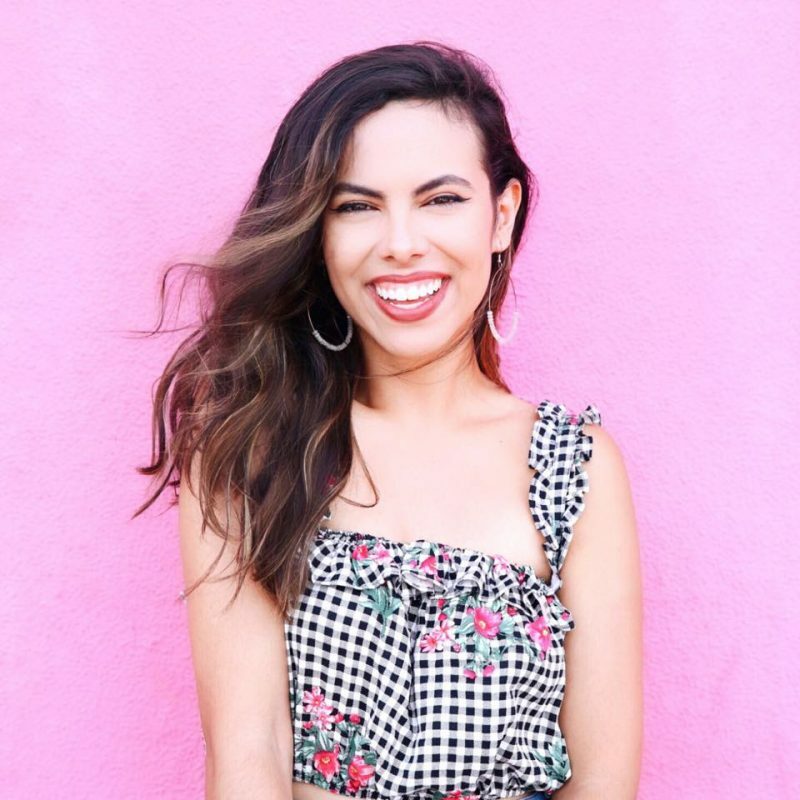 Now that festival season has started, I wanted to share my tips with anyone out there considering going to Coachella or not. 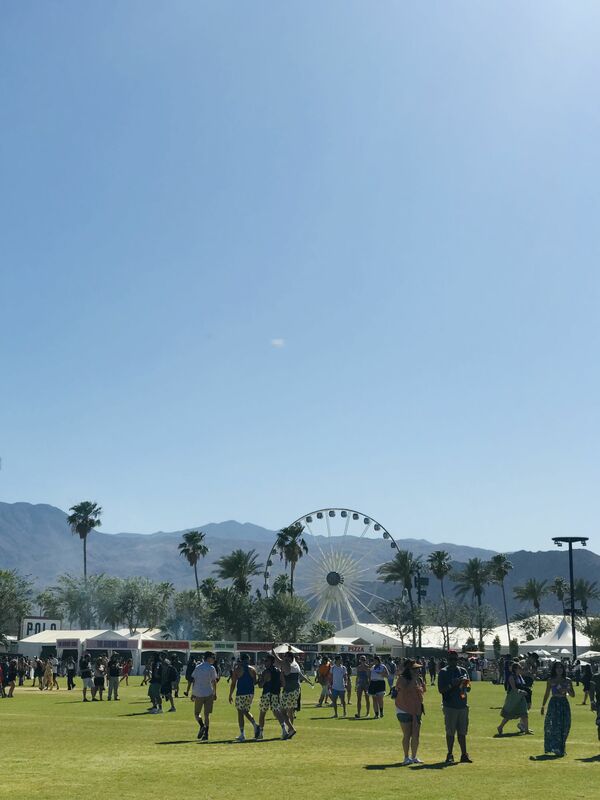 Here’s what I found out and what Coachella first timers should know. It’s not as pretentious as the media portrays it to be. 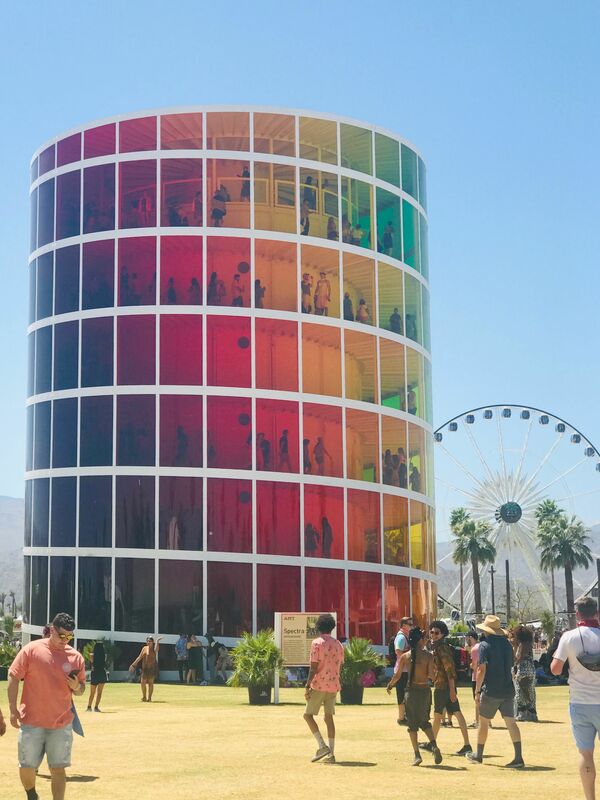 When I first walked through the gates of Coachella, I was expecting to see like a hundred models and influencers perched in front of the ferris wheel taking pics. Nope. Sure, there were people taking photos (me included), but they were all just normal people. I was also expecting to be the most underdressed person there. Have you seen what a typical fest outfit for me looks? Yeah, I am quite the opposite of high-fashion. Turns out the majority of people are not trying to pretend they’re being scoped out for a fashion show, who knew?! Everyone is wearing just your typical fest fashion. I fit right in, even with my goofy Chacos. Okay, fine, looks like your pretty average fest, but I BET the people are probably snobby or rude or don’t really care about the music. Yet again, I was wrong. I met so many people around camp, while waiting for artists at certain stages, in the lines for the bathroom… literally everyone was so nice and welcoming. People still said “excuse me” when trying to get by, apologized if they stepped on my foot, and no one was pretentious at all. Was this all because I chose to go Weekend 2 instead of Weekend 1 (which is the typical weekend for the media)? I guess I might never know, but I feel foolish for judging this fest so harshly before I really gave it a shot. Compared to other festivals I’ve been to like Electric Forest or Lollapalooza, Coachella is actually pretty small! Like instead of having to leave a set 20 minutes early to get a good spot for the next artist at a different stage, I could leave 5 or 10 minutes early and be just fine (if you want a great spot close up to a main headliner though, definitely get there at least 20 minutes earlier). It’s hard to paint a picture, but they have a couple different routes to get to different stages that way we’re not all bottle-necked and cramped heading to the same place. It felt very spacious and easy to navigate! They also had an adequate amount of bathrooms anywhere I needed one, and not I’m not talking about those awful port-o-potties we all hate, but THEY HAD BATHROOMS WITH PORCELAIN TOILETS. THAT FLUSH. And not even in a VIP section! I have never seen that at a camping fest before. You can call this bougie; I call it awesome. There are no totems or chairs allowed. “Wow I can actually see the band playing; why is this such a good view?” I remember thinking as I was in the crowd. Then I looked around and realized, OMG THERE ARE NO TOTEMS OR FLAGS. 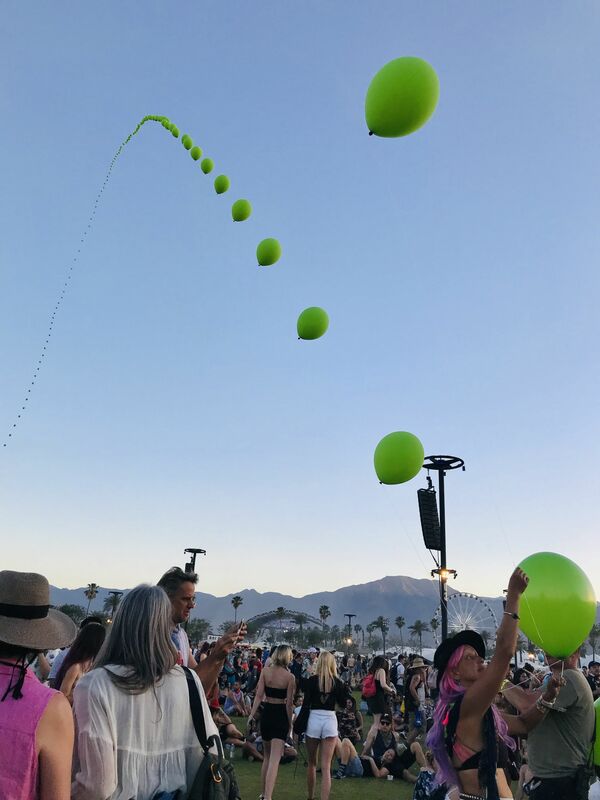 I understand the use of them to help find your crew when you get separated, but Coachella isn’t so big to where, if you lose your crew, you’re never going to find them again. Another aspect I appreciated about the fest was that there are no chairs allowed in Coachella which, I never realized this before, definitely changes the overall vibe. But in a good way! If you wanna chill, you can lay on the grass in areas farther away from the stages (you’re allowed to bring in a blanket). To read more of what is and isn’t allowed and Coachella, check out their rules page. 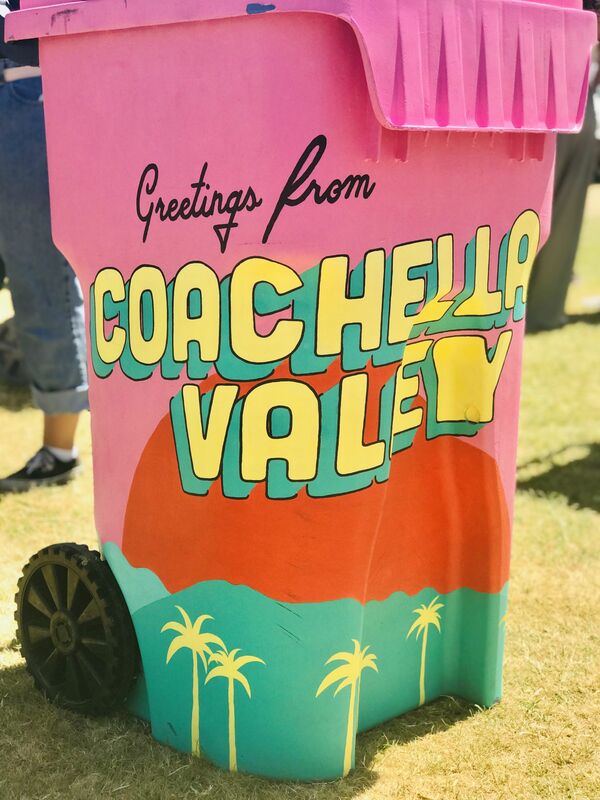 Drinking at Coachella is restricted. 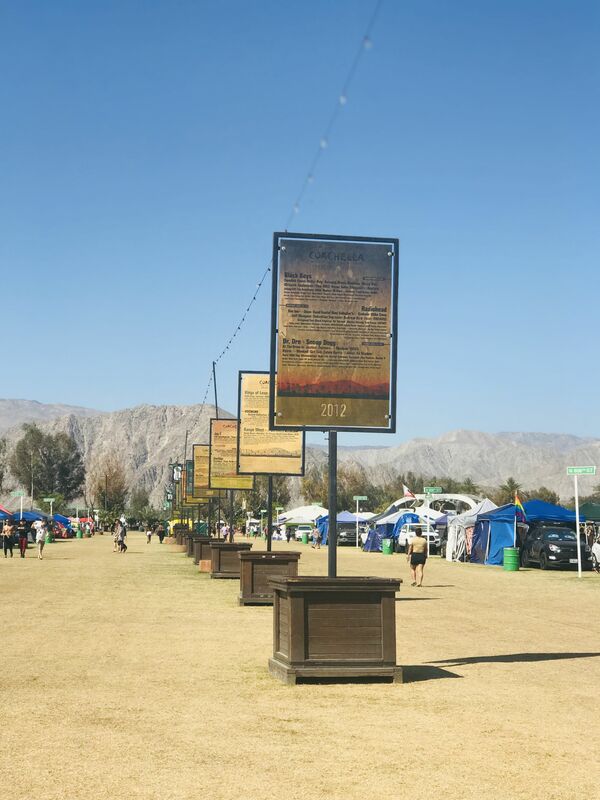 Ok, so this is the worst thing about Coachella in my opinion (which says a lot because it’s not THAT bad, it’s just annoying), but they have restricted areas for drinking alcohol inside the fest. Meaning, you have to go through a small gate where a clearance person will check your 21+ wristband and then go into this wide open area (half covered and uncovered) with a bar where you can purchase drinks, and then YOU CAN ONLY DRINK IT IN THAT AREA. You can’t take your drink to a stage to see music, and you can barely see the artists from these areas. Once you’ve finished your drink, you have to leave through another small gate where they check to make sure you’re not sneaking out any drinks. It’s weird, but I guess this is their way of preventing underage drinking and also keeps people from getting too drunk. If so, I get it, but still… It was a pain. I only went in the very first day for a pricey $12 beer, and then stayed away the rest of the weekend. This is another reason why people camp: pregame with their own drinks before going into the fest. So, depending on the vibe you’re wanting, this could be either a good or bad thing for you! Camping at Coachella is the BEST. Camping at Coachella is a must-do! Want to avoid 3 hour waiting times for an Uber after each day of the fest? Camp!! If you hate sleeping in a tent, you should look into renting a camper van in LA then driving it to the fest. I rented a van with my cousin from Lost Campers which provided a bed big enough for 2 people AND a sink in the back! Yes, it’s hot, but as long as you stay hydrated and take a fan like I did, you’ll survive. People who camp get to arrive on Thursday morning, and then after setting up your tents, the rest of the day is just one big day party of getting to know your neighbors, hanging out, drinking, and preparing for the epic weekend ahead. Seriously, even people who are not camping make an effort to come in the grounds on Thursday because it’s so much fun. The best part of camping though is that you are walking distance from the fest, and they also have a big area in the campgrounds for food, drinks, and more. There are also multiple bathrooms and an area for showers (you can avoid waiting in line at peak shower times by either getting up super early around 6-7am). If you get to Coachella early enough like we did (be prepared to wait a couple hours to get in though due to security), you have a pretty good chance of being literally right outside the festival entrance (in the photo above, we were about 4 rows back right next to the main walkway) which is great for when you need to run out and back in real quick. 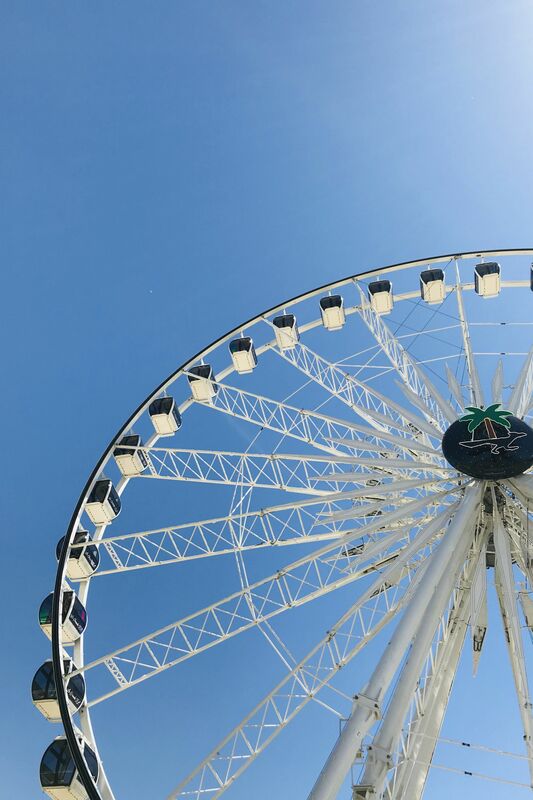 To get the best pics in front of the ferris wheel, get there early! Gates open at 11am every morning. Food is pricey ($9 for an ice cream?! ), so try to split food with your friends. Save yourself from getting sick and wear a bandana!! The dust is barely visible but it’s there, I promise. Go into the fest grounds before the music starts to explore the art exhibits and beat the lines. 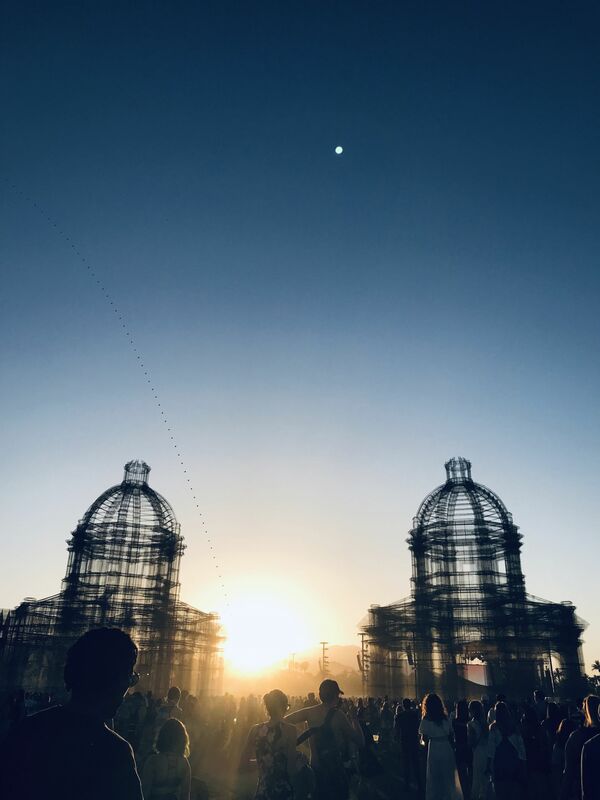 There was SO MUCH art and even an immersive dome show. Don’t miss out! Check out the smaller, indoor stages set up around the grounds which are just as fun as the big stages! Merch always sells out; so if you want something to remember your trip, GO BUY IT ON THE FIRST DAY. Bring all the must-haves: cash, water, ID, a fan, sunglasses, bandana, etc. 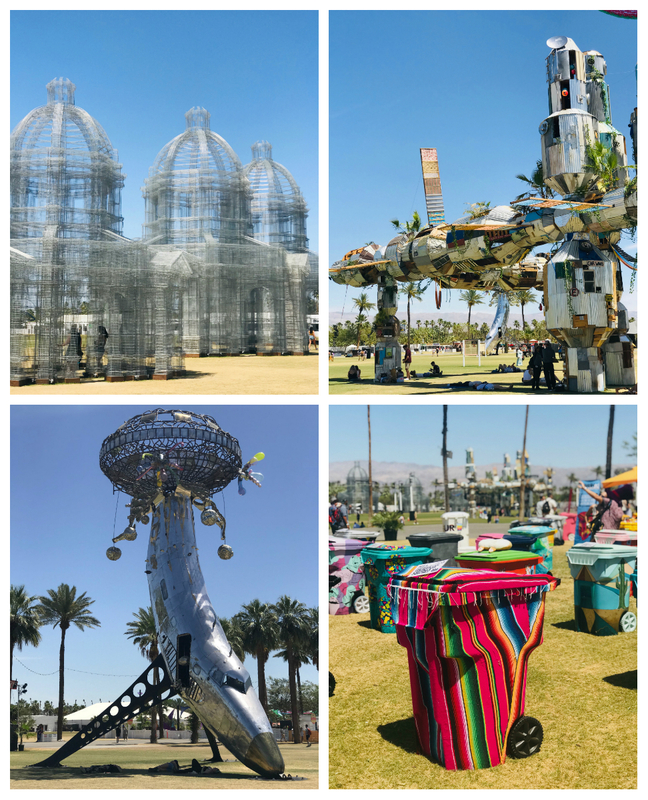 The art at Coachella changes EVERY year! So, is it worth going to Coachella? If you like festivals and you’re considering going, DO IT. I kid y’all not, I went in with low expectations and ended up having the time of my life. 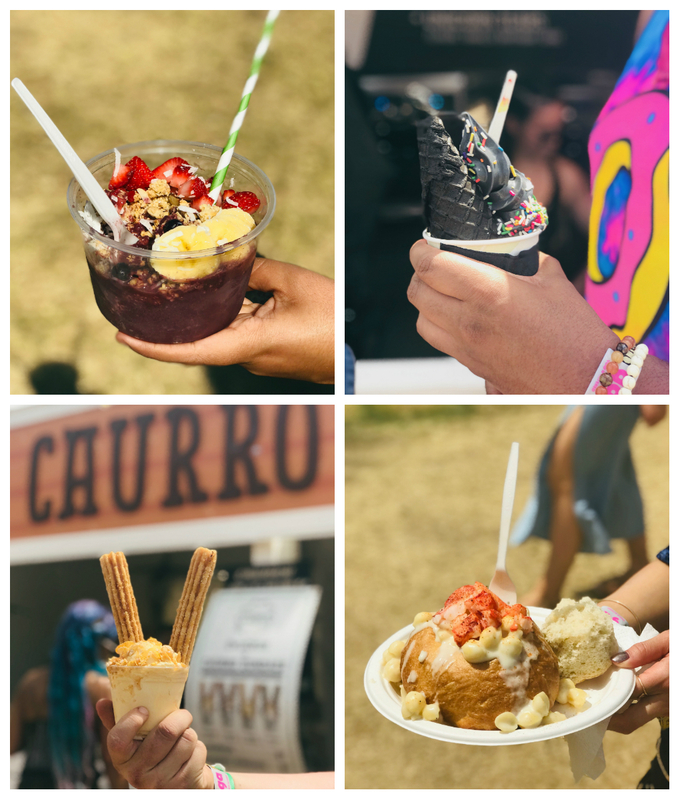 The lineups never disappoint, the weather is great, the vibes are awesome, the food is delicious, and overall it was just an incredible weekend. But don’t take my word for it; go to Coachella, and judge for yourself!